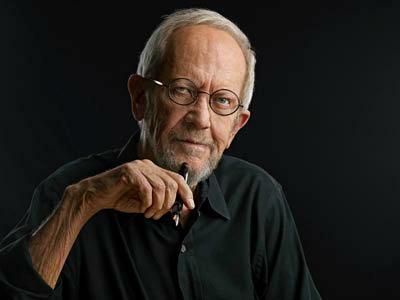 ← Why the Hero of My Crime Novels Is a Newspaper Reporter Instead of a Cop or a P.I. Some novelists outline their plots before they start to write. Others don’t. There’s no right way to do it. Each writer does what’s best for him or her. I never outline my hard-boiled crime novels. In this guest blog I wrote for the Booking Mama website, I explain why I write that way and how it works. First, a powerful state senator turned up dead. Then a mobbed-up bag man got shot down, and his cash-stuffed briefcase went missing. I write this way partly because it’s just the way my mind works—and because I figure that if I don’t know what’s going to happen next, my readers probably won’t either. But the main reason I do it is that I enjoy discovering the story as I go along. It’s what sits me down at my writing desk every day. If I knew in advance how the story was going to turn out, my desire to write it would simply evaporate. 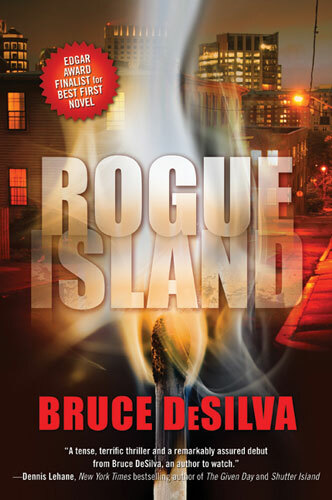 When I finished my first novel, the Edgar Award-winning Rogue Island, I gave it to a half-dozen trusted friends to see what they thought. That was a mistake because it generated a lot of confusing and conflicting advice. Since then, I’ve given my first drafts only to my agent, Susanna Einstein, the best story doctor I know, and to my wife Patricia Smith, one of the finest poets working in English. Booking Mama, the blog where this article was first published, has a lot of cool stuff. You can check it out here. And A Scourge of Vipers, being published in hard cover and e-book editions on April 7 (with a downloadable audio version from Audible soon to come) can be ordered in advance by clicking on one of the links found here. 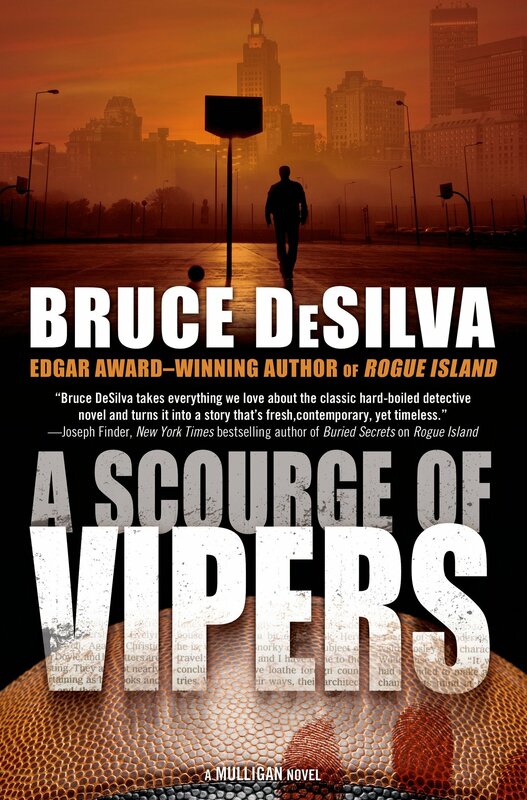 This entry was posted in Uncategorized and tagged A Scourge of Vipers, Bruce DeSilva, crime novels, Elmore Leonard, hard-boiled, investigative reporter, james Ellroy, Liam Mulligan, Mysterious Bookshop, noir, Patricia Smith, Providence Rag, Rhode Island, Robert B. Parker, Rogue Island, sports betting, Timopthy hallinan. Bookmark the permalink.